Celebrate Christmas in style with this cute Christmas tree shaped vegetable platter! 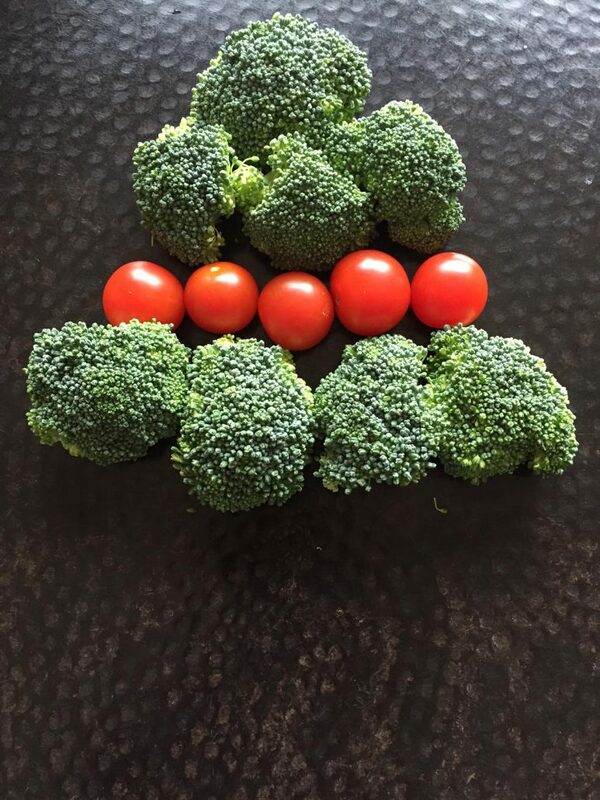 Broccoli makes the green branches, red cherry tomatoes make the ornaments, cauliflower makes the white snow and the yellow bell pepper makes the bright star! This Christmas tree is super easy to make. 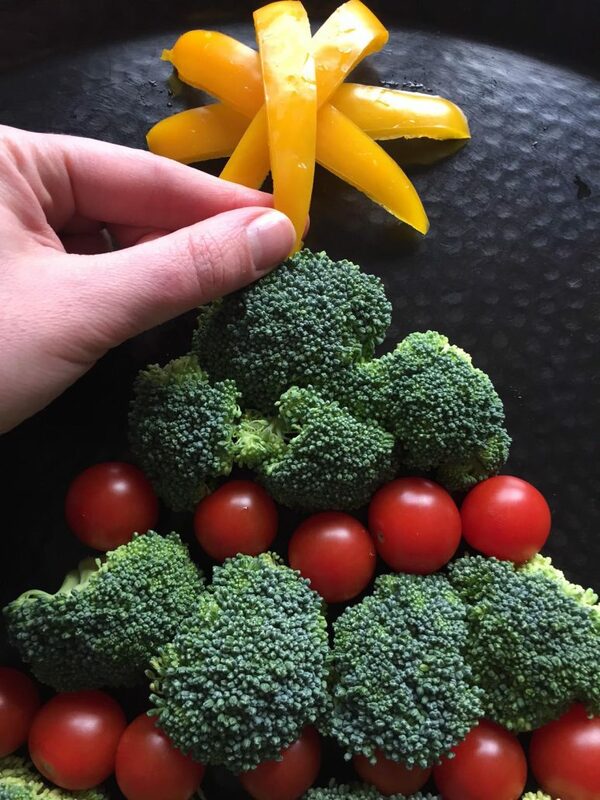 No cooking requires, just lay out the broccoli, cherry tomatoes, cauliflower and bell pepper on a large platter in a Christmas tree pattern. 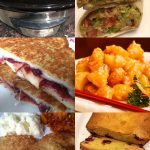 It will take you 5 minutes flat, and everyone will be impressed! 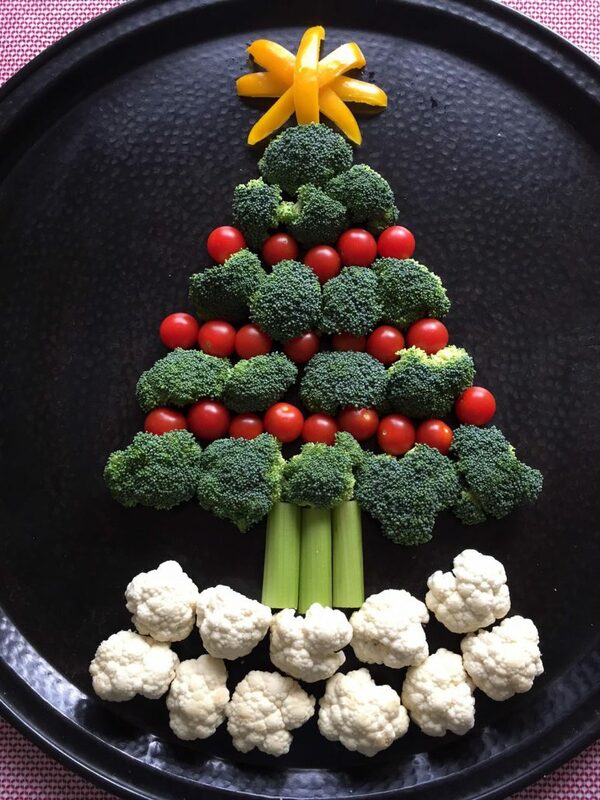 This Christmas tree veggie tray will certainly be the talk of the party! Put some dipping sauces next to this veggie platter so people can dip the vegetables. This Christmas tree veggie tray will be the healthiest appetizer at your Christmas party 🙂 Healthy additions are always welcome to the calorie-overflowing Holiday feasts! 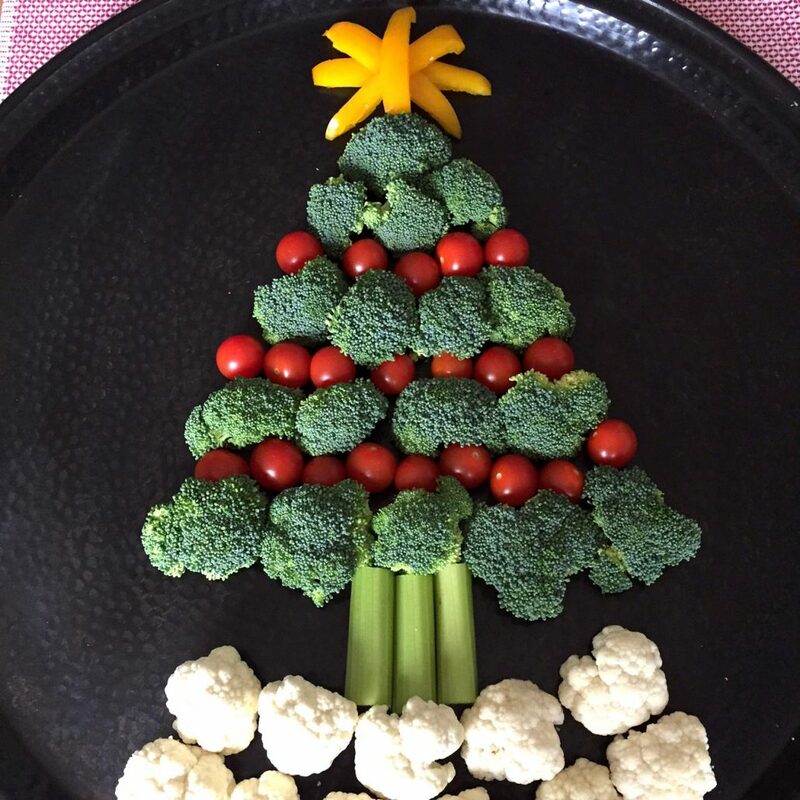 Kids especially are going to love this Christmas tree veggie plate. 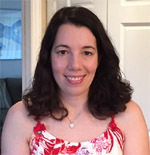 They can surely help you make it, and it will be such a fun project for the kids (and the “kids at heart”)! 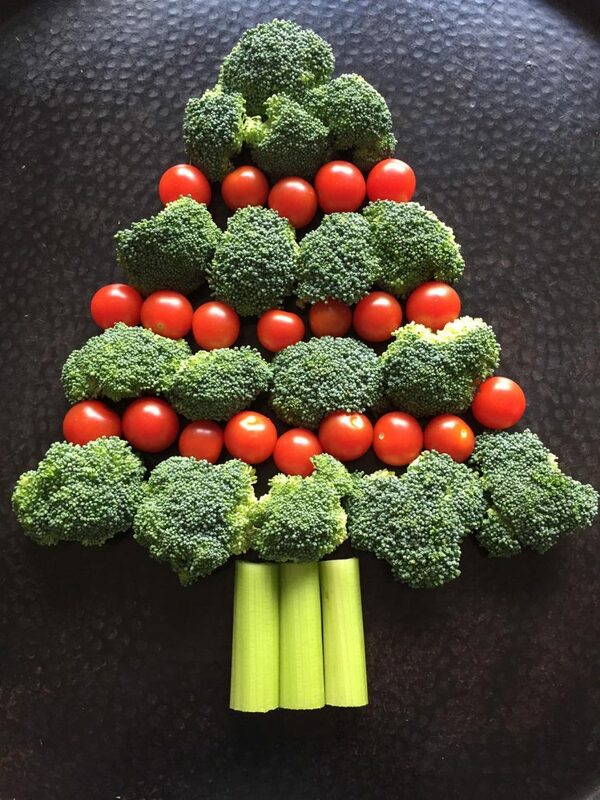 It’s also a great way to encourage the kids to eat their veggies by making vegetable Christmas tree! 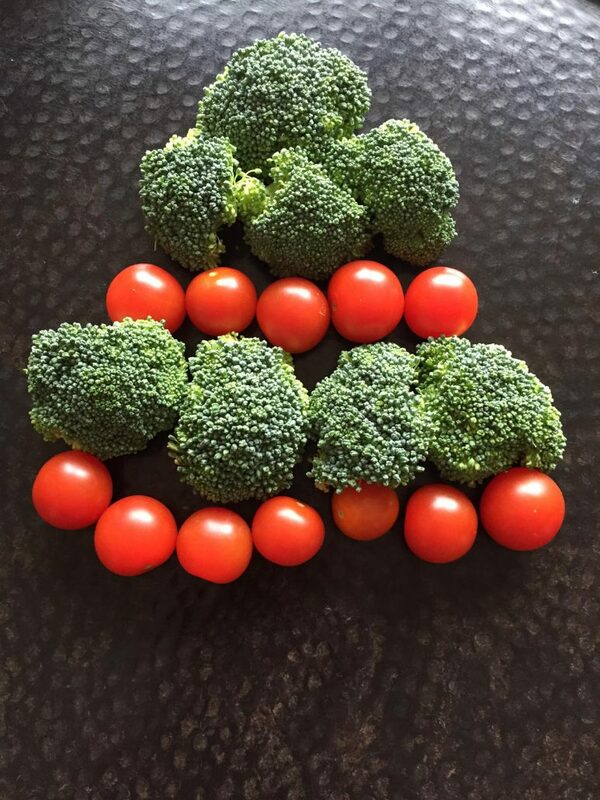 Step 1: Make the triangle from 3 broccoli florets to create the top of the tree. Step 2: Add the cherry tomato “ornaments”. Step 3: Add another line of green broccoli. Step 4: Add another line of cherry tomato “ornaments”. Step 5: Add more broccoli green “branches”. Step 6: Add another row of cherry tomatoes – the last ornament row. Step 7: Add the last line of broccoli florets to make the bottom green “branches” of the Christmas tree. Step 8: Make the Christmas tree trunk out of celery sticks. Step 9: Make the snow out of 2 rows of cauliflower. Step 10: Make a star out of yellow bell pepper slices at the top. 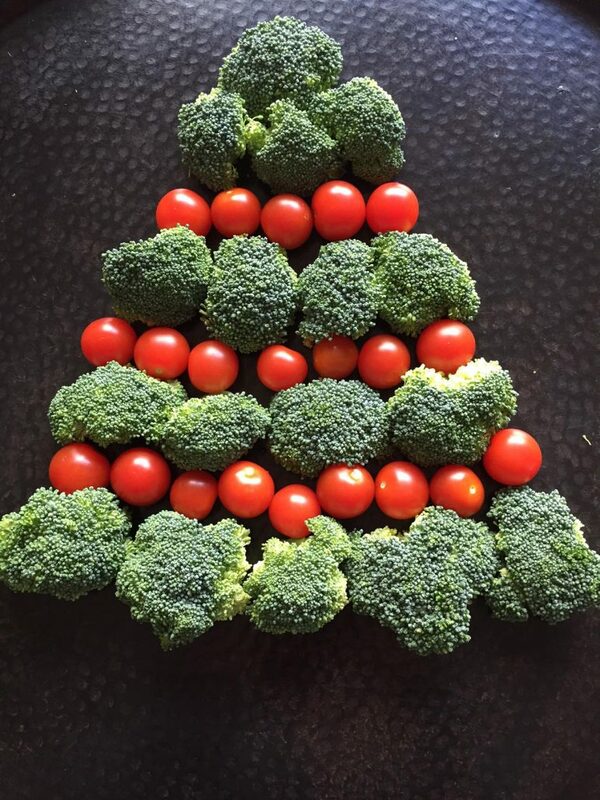 Your amazing veggie Christmas tree is ready! If you enjoyed this broccoli Christmas tree, you are going to love my other Christmas veggie platter that’s shaped like a wreath! Check out Christmas Wreath Vegetable Platter, and here are some more healthy Holiday treats: Christmas Grinch fruit skewers and Christmas Chocolate Strawberries. 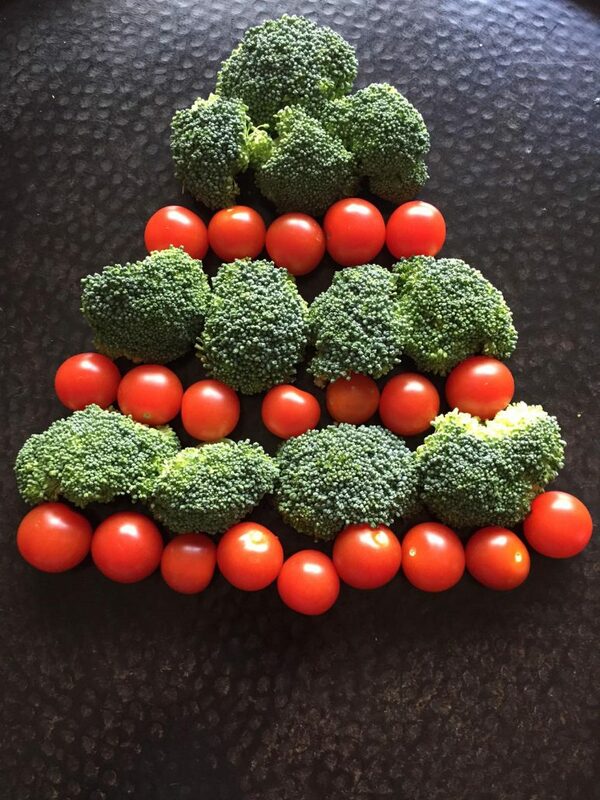 This amazing Christmas tree is made out of vegetables! 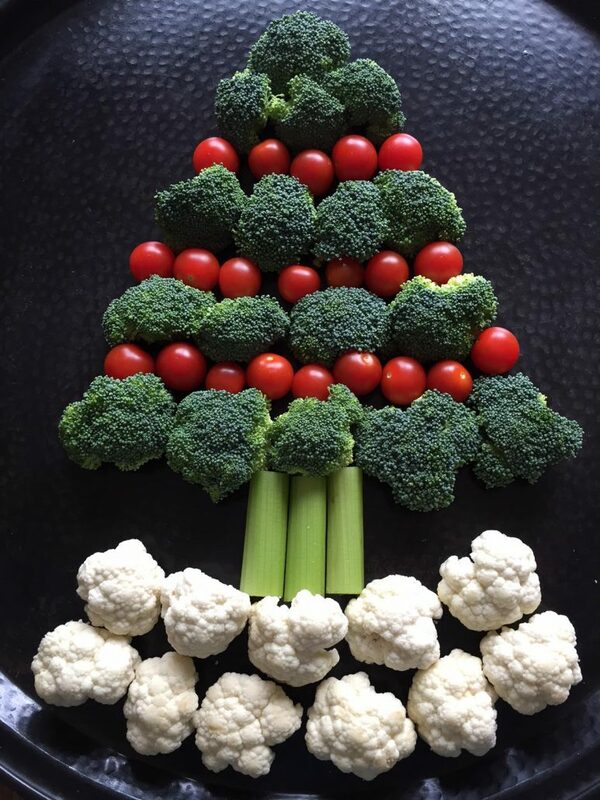 Broccoli, cauliflower, cherry tomatoes, celery and bell peppers are put together in a clever edible Christmas tree! This vegetable platter will be a hit at your Holiday party! Prepare a large tray or plate. Trim the cauliflower and broccoli florets so the stem is completely removed. 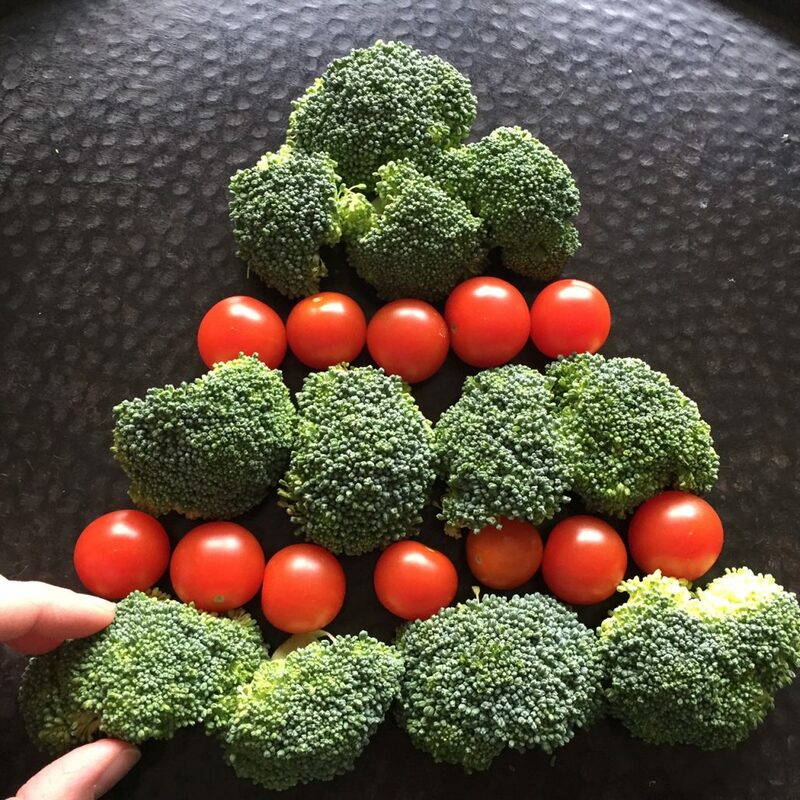 Using 3 broccoli florets, create the triangle top of the Christmas tree on top of the platter (leave a little room for the star on top to be added later). 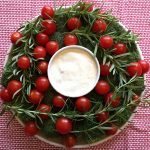 Add a line of cherry tomatoes right under the top of the tree. Add a line of broccoli florets under the cherry tomatoes. 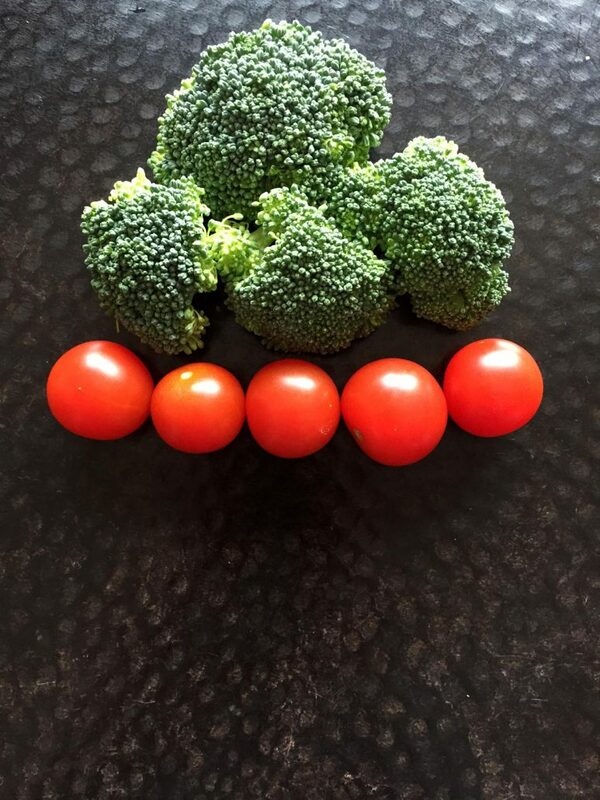 Add another line of cherry tomatoes under the broccoli florets. Add another line of broccoli florets. Add the last line of cherry tomatoes under broccoli. 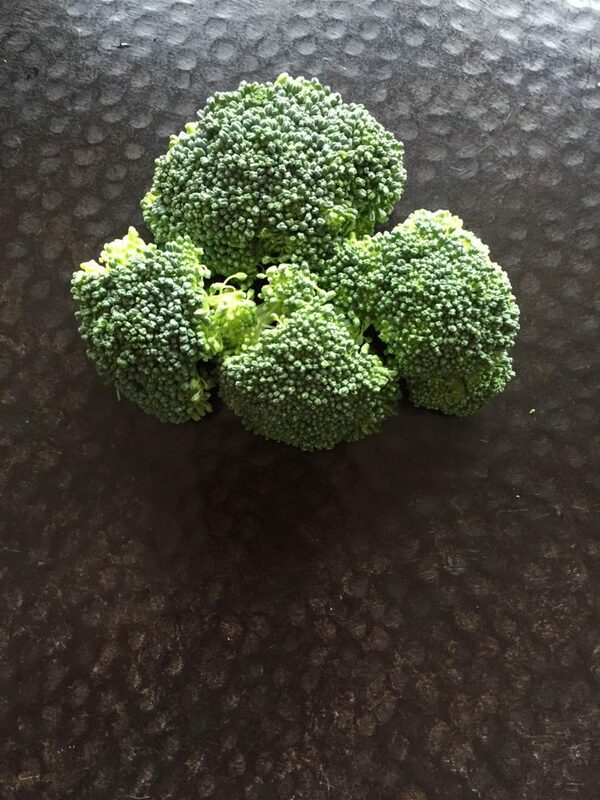 Add the final line of broccoli to make the bottom of the Christmas tree. Add 2 celery sticks together vertically at the bottom of the tree to make the Christmas tree trunk. On top of the Christmas tree, put the yellow bell pepper strips to make the star.